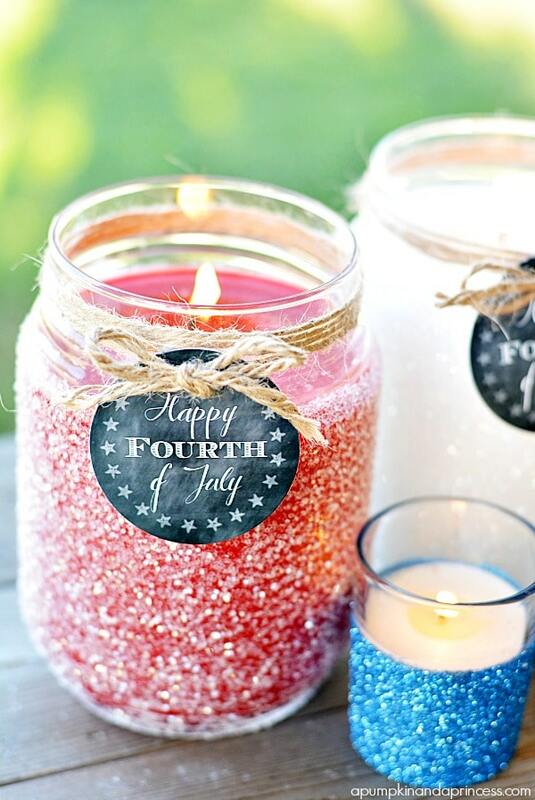 Looking for some Fourth of July decoration ideas? You've come to the right place! I'm going to go over some really cute ideas that will be great for celebrating Independence Day. I'll go over some patriotic decorations that you can make and some that are pre-made. If you will be hosting a Fourth of July party, or just want to celebrate the Fourth of July with patriotic decorations, you may want to consider making your own patriotic crafts. Homemade crafts will be cheaper than buying pre-made decorations, and will be a fun experience with your whole family. There are so many crafts on the internet that you can easily make. I'll go over a few patriotic decorations that you can make yourself. Cut the paper and chipboard to nine inches long, or to the desirable length. Glue the paper onto the clipboard sheet. If you are using cardstock instead of chipboard, do the same thing. Keep in mind that cardstock won't be as strong as chipboard. Make two borders by using the border punch. Decorative scissors will work as well. Glue them onto the top and bottom of the windsock. Glue the ribbon to the inside of the windsock, so that they dangle down. Glue or staple the ends of the chipboard together, so that it is a tube shape. Cut two small holes on the top of the windsock. String twine through the holes. 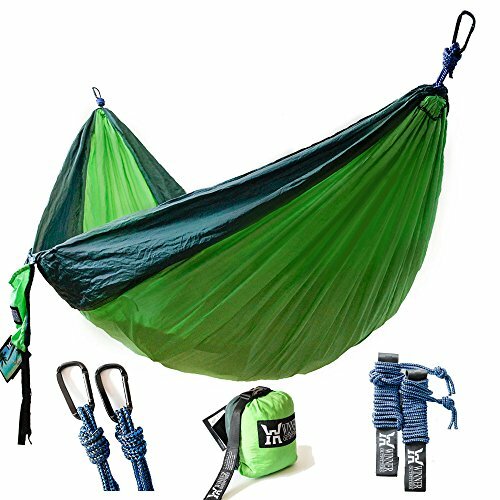 This is how the windsock will hang. If the candle had a label on it, remove it. Brush a thin layer of Mod Podge onto the jar. Sprinkle some glitter onto the jar. A glitter tray may be helpful so that you can save any glitter that spills and not make as much of a mess. Tie the twine around the mouth of the candle jar. 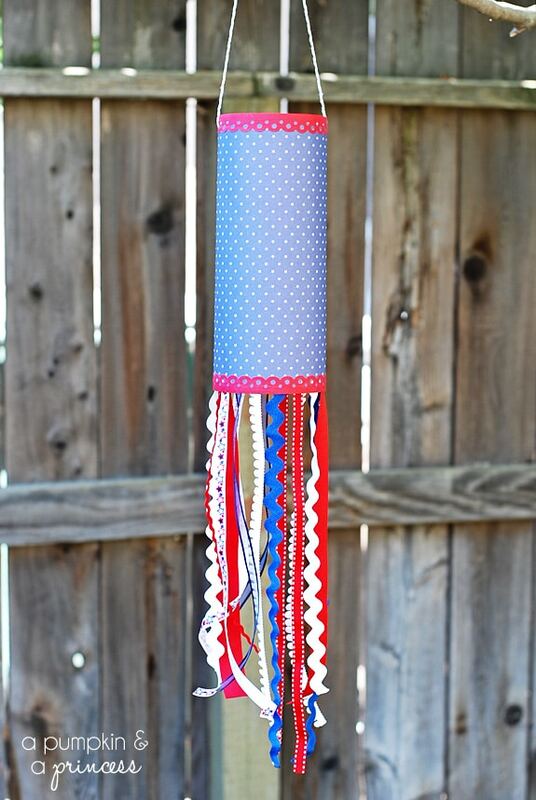 If you will be adding the 4th of July printable tag, tie the twine around the tag. Start by tracing three different size circles on the sheets of patriotic paper. Once you have traced them, you can cut them out. To save time, double or triple the papers and then cut them. Next, decide which patterns you want to match together. Also decide which sizes go together. On each circle, make 5 or 6 different cuts/slits, stopping at approximately 1/2 inch from the center of your circle. Punch a hole in the center of each circle. Then, fold each triangle shape (the shape that was made when you made the slits) in half lengthwise. Take the circles that you've decided will go well together, and stack them on top of each other. Make sure the larger circle is on the bottom, and the smaller circles are on the top. Once you are finished stacking the circles, insert the paper brad so that the circles stay together. Now it is time to attach the stem to your flower. Anything will work - pencils, skewers, thin wooden dowels or floral wire. Decide what you will use for the stem before you move on to the next step. Cut the stem to the desirable length. Place it against the back of the flower, and tape it in place with the washi tape. Glue will work too. Continue cutting the stems until you have finished all of them. Make sure each stem is a little different in size. Arrange them in a jar or pot. 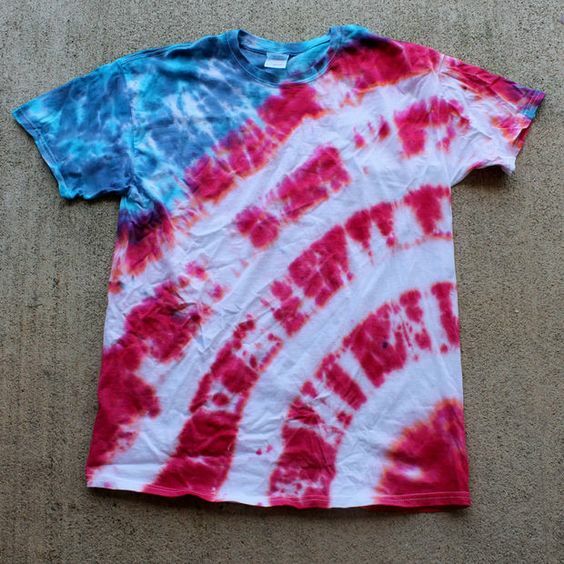 Patriotic Tie Dye Shirts - It can be fun for kids (and adults) to tie dye shirts. Even more fun is to tie dye shirts for a special occasion. This Fourth of July, have your kids tie dye white shirts with red and blue. These shirts can be worn over and over again for each Fourth of July, as well as Memorial Day. Firework Rings - Enjoy this Fourth of July by wearing firework rings made by your kids. These rings are made out of sparkly red, white, and blue pipe cleaners. To make, twist the pipe cleaners together. Don't twist the very top of the pipe cleaners, since it is supposed to look like fireworks. Twist around your fingers for a comfortable fit. Whenever you want to take the rings off, carefully untwist them. Painted Rocks - Painting rocks can be a fun activity for kids. It can also be a way to decorate for the Fourth of July. Have your kids paint the rocks with white and blue so that it looks like a flag. Patriotic decorations can be bought almost anywhere. As it gets closer to the Fourth of July, local stores will start putting Fourth of July decorations out. 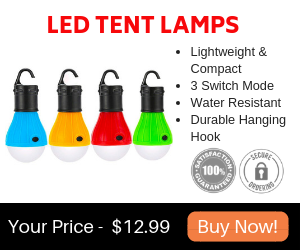 You can also find patriotic decorations online, such as Amazon. Another online store that sells party supplies and decorations is the Oriental Trading Company. If you will be hosting a party this Fourth of July, you will need some Fourth of July party supplies. When choosing Fourth of July decorations, you will want to look for decorations that match the patriotic theme (red, white, and blue items). I'll go over some specific patriotic party supplies that you may want to buy. Tableware - You can buy paper plates, paper bowls, plastic forks, cups, and napkins that all have patriotic colors. This is an essential for hosting a party, since you will probably be serving food. Patriotic Decorations - Don't forget the decorations. Patriotic decorations can be bought at stores and online, or you can make your own homemade Fourth of July decorations. Candy - Candy is always fun to have, and it is great for parties. Some candies will come wrapped in Fourth of July wrapping. 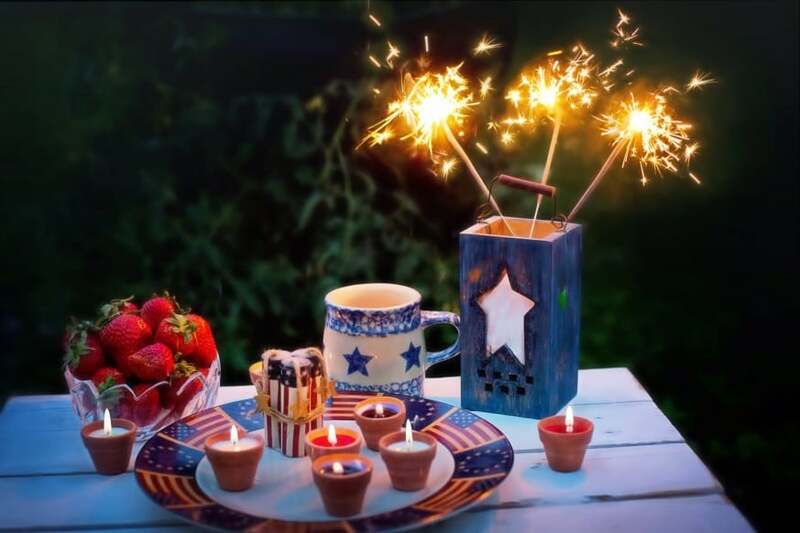 The table is a perfect place to decorate for the Fourth of July. Since the table is where you and your family will gather together every day, this is a wonderful place to start decorating. There are so many red, white, and blue centerpiece ideas to choose from. You can make your own, or you can purchase a centerpiece at your local store or online. 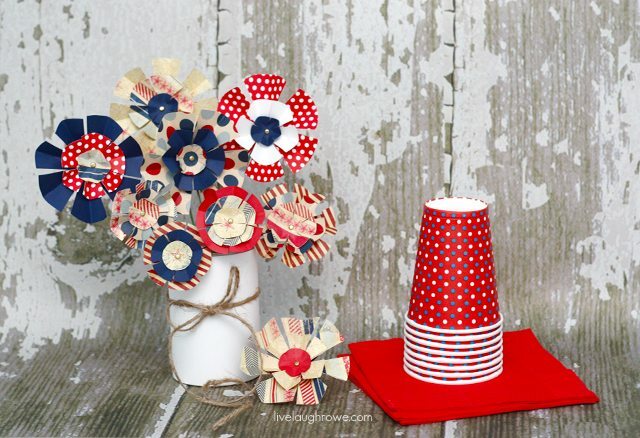 Besides a patriotic centerpiece, you will want some Fourth of July table decorations. Fourth of July decorating ideas could include flag decorations, homemade patriotic flowers, and any red, white, and blue decorations. What better place to be but outdoors on the hot summer season? 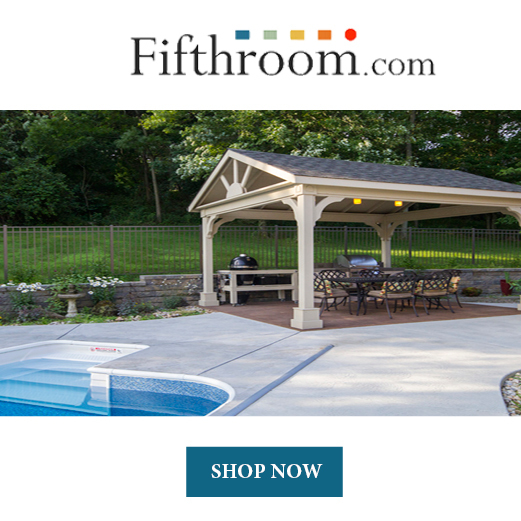 Since you will be outdoors a lot during the Fourth of July, why not decorate your yard in a Fourth of July style? There are so many ways to decorate your yard, from hanging your flag to painting your lawn with stars. I'll go over a few DIY yard decor ideas that will hopefully inspire you to have the perfect Fourth of July party. Make sure to choose a paint that is environmentally-friendly, or try using flour. Take a piece of paper and cut out a star shape. 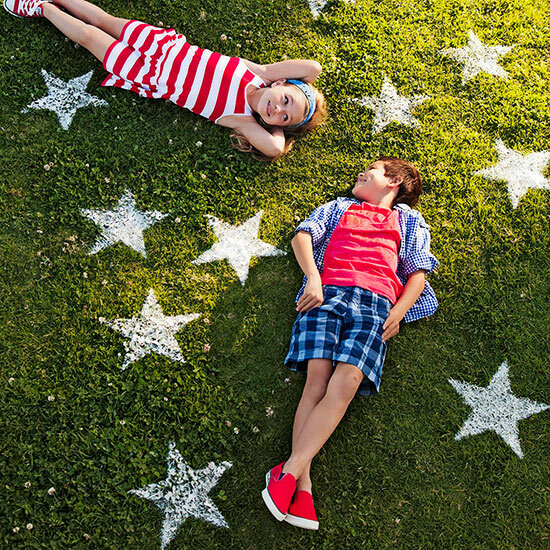 Dispose the star, or better yet make a DIY patriotic craft out of it. Set the paper (with the missing star shape) onto the grass. Spray the paint directly onto grass, which would be in the center of the paper. Make sure the paint doesn't go under the pattern, or it won't be a perfect star shape. Wait a minute before removing the paper. Continue to do this to your yard until your lawn is full of stars. Don't forget to use different patriotic colors: red, white, and blue. A patriotic shutter can be a fun and easy decoration to make with just a few simple supplies. What you'll need is a shutter, either wood or plastic, primer paint, paint, and painter's tape. FrogTape is a good tape to use, and can be purchased on Amazon. Start by painting the shutter with prime paint. Allow it to dry for 24 hours. Next, tape the shutter with the painter's tape. Don't forget to make a star shape with the tape. The star should be located at the top of the shutter. Spray paint the shutter with red, white, and blue. Make sure the star is painted white, and the color behind the star is blue. Carefully remove the tape and enjoy your patriotic shutter. 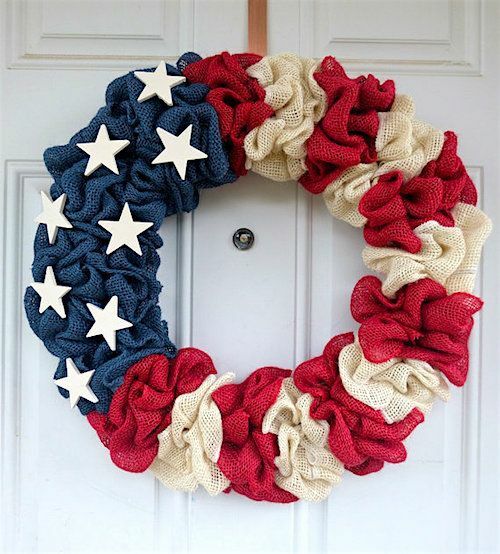 Patriotic wreaths are one of the most popular Fourth of July decorations. You can buy them online and at stores, or you can make your own. They are very easy to make, and can make your house look very festive. Patriotic wreaths can be hung either indoors or outdoors. A common place to hang a wreath is outside on the door, but it can be hung anywhere you desire. 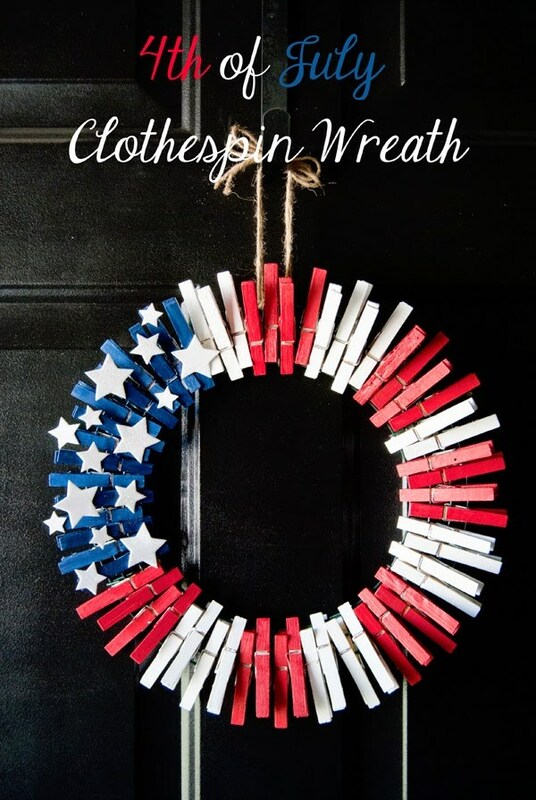 But hanging the wreath will come later, so let's get started on how to make your own patriotic wreaths! Cut the burlap into strips. To do this, use the straight pin to loosen a thread from the burlap bag. Pull on the thread until it comes out. Once it is out, use the space where the thread use to be to cut. Make sure your scissors are sharp, and watch that you don't breath in the dust from the burlap. Before you add the cut burlap onto the wreath, you will need to add the natural burlap that has not been cut. Wrap this burlap around the wreath until the wreath is covered. Take a cut burlap and fold it so that it looks like a fan. Have the fan wrap around the wreath, and use pins to hold it in place. The pins are there so that you can arrange the ruffles however you'd like before they are glued to the wreath. Space each ruffle 1 1/2 inch apart from each other. Make sure the sewn side of the burlap is facing up, so that it doesn't start unweaving. Once you are pleased with how the ruffles look, take the hot glue and glue the ruffles to the wreath. Remove the pins as you go along. If you'd like to add decorations to your wreath, you can glue star decorations to it. Spray paint the clothespins red, white, and blue. On the blue clothespins, glue some small stars onto them. Clip the clothespins onto the wreath. Clip the blue clothespins is one section, and keep alternating the red and blue clothespins. Keep clipping them on until the wreath is full. Add any other decorations if desired. Start by wrapping the wreath with the strips of fabric. Spay the cardboard with gold spray. Spray the toothpicks as well. Apply some washi tape onto the gold tube for decoration. Glue a cardstock cone topper onto the top of the gold tube. Take some cardstock and cut some slits into it. Glue it onto the inside of the tube, so that these "fringes" hang out the bottom. Tie the gold tube onto the wreath with the rope. Lastly, glue the toothpicks onto the gold tube. I hope that the article inspired you to go all out this Fourth of July by decorating. You can never go wrong by showing your pride in the red, white, and blue. Use some of the ideas in this article or let them be a springboard for coming up with your own patriotic decorations. The important thing is to get crafting!